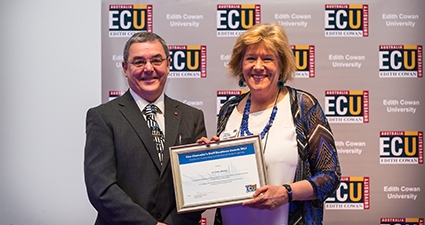 At ECU we regard the quality of our academic staff and their teaching as one of our main strengths. 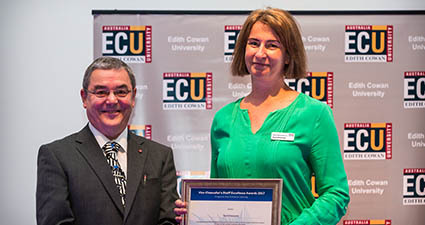 As a result we actively support the recognition for outstanding teaching through the Vice Chancellor's Staff Awards and the Australian Awards for University Teaching. 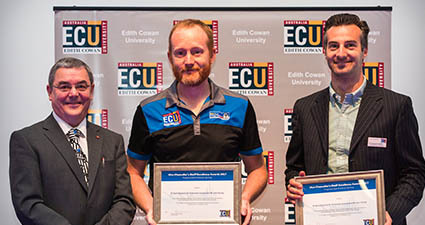 Awards for university teaching recognise quality teaching practices and outstanding contributions to student learning. Recipients of such awards, at both institutional and national level, further contribute to systemic change in learning in teaching through ongoing knowledge sharing and dissemination. Citation and award winners become leaders in the scholarship of teaching and learning and are able to access collaborative research opportunities at national and international levels. 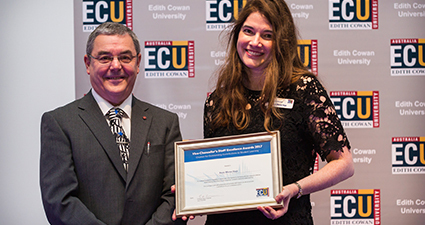 The ECU Vice-Chancellor’s Learning and Teaching (VC L&T) Awards are intended to encourage, recognise and reward excellence and achievement in all forms of teaching; and in innovations, initiatives and services that contribute in diverse ways to student learning. 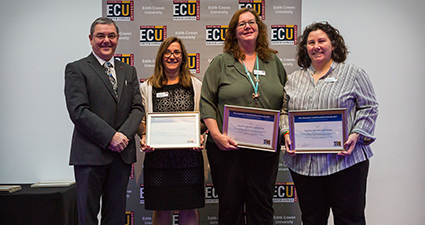 ECU participates in the Perth Convention Bureau's annual Professional Development Awards as part of the Bureau's Aspire Program.